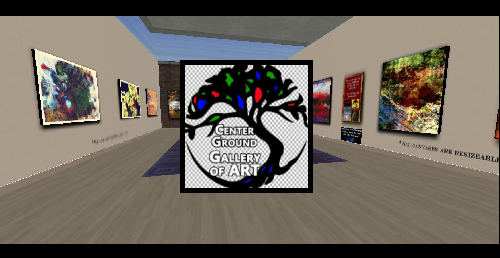 For the Art Lovers in SL! Today through Friday, January 3, 2014, the work of Layachi Ihnen, Jeanvince Admiral, Miles Barbasz, Xirana Oximoxi, Ohsoleomio, Waltkeys Faith, and JudiLynn India will be on display. Come enjoy the vibrancy of ideas and colors from these real world artists before the Center Ground Gallery closes for a new 2014 beginning! Of course, all pieces are for sale. The Gallery will close on January 5th for renovation - to reopen soon! Keep your eyes open for the announcement!